Techstars Chicago’s 2018 cohort officially graduated this week, with the 10 participating companies completing their final round of pitches in front of a packed crowd of investors at 1871. Like last year’s Demo Day, the focus was less on throwing a big party and more about getting the cohort in front of interested investors and community members with connections. But the audience wasn’t there for pop culture references or to see CEOs play violin. The assembled investors were interested in seeing the viability of the businesses the 2018 cohort had built. Ablorde Ashigbi, co-founder of Techstars Chicago 2017 alum 4Degrees, vouched for the program’s effectiveness in his opening remarks. According to LaHive, Techstars alum are worth a total of $862 million. The accelerator’s Chicago grads include SpotHero, TradingView and LogicGate. While past cohorts are full of success stories, LaHive was even higher on the class of 2018. “This is the strongest cohort top to bottom that’s ever come through Techstars Chicago,” he stated. Continue below to learn more about the companies that took the stage last night and how their businesses were transformed by Techstars. Thanks to 2ndKitchen, your favorite dive bar may soon offer food. The startup lets businesses without kitchens serve food by providing them a custom menu filled with dishes from nearby restaurants. Patrons order from tablet-powered kiosks or using the startup’s app. The company collects a service fee from diners and a commission from restaurants on each order. According to co-founder and CEO Nick Anastasiades, 2ndKitchen was live in one Chicago bar when Techstars kicked off three months ago. That number has grown to 20, and the company is currently in talks with two nationwide hotel chains for a pilot program. Eight of the 10 companies in Techstars Chicago’s 2018 cohort hailed from the Midwest. Clyde was the lone representative from the East Coast. The New York-based company has developed an API and e-commerce plug-in that makes it easier for online merchants to sell extended warranties at the point of sale. 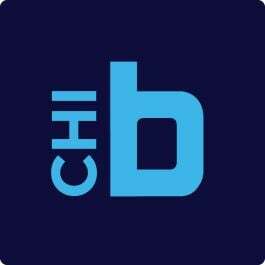 The company officially launched two months ago and already has partnerships with 21 businesses, including fellow Techstars Chicago alum Jiobit. Hurry Home is out to provide an alternative path to home ownership. The company targets properties banks won’t issue loans for — those that have a total value of around $50,000 or less. When a prospective homeowner finds a home on the platform they’d like to purchase, Hurry Home’s network of investors acquires the property. The buyer moves into the home and earns equity in the house with each monthly payment they make. Hurry Home has already helped place 25 in South Bend — where the company is headquartered — into homes. Co-founder and CEO Jada McClean said Hurry Home is eyeing expansion into more Midwest cities, including Chicago. Kai Coach’s focus was a lot narrower when Techstars began, and its name was shorter. Kai helped people hit their health and fitness goals by connecting them to a network of coaches who answered questions and shared advice and inspiration via text message. Kai Coach takes the same approach, but has expanded its scope to include a wider range of professional coaches. The company uses predictive analytics and machine learning to recall info, provide context and suggest language, which makes delegating clients to others easier and enables coaches to more quickly grow their business. Neopenda is on a mission to combat infant mortality in emerging markets using an affordable wearable device. The device is placed on a newborn’s arm or forehead and measures four vital signs: temperature, oxygen saturation, pulse and respiratory rate. Nurses can monitor the status of an entire newborn ward using a tablet and are alerted if an infant’s vitals fall out of a normal range. Co-founder and CEO Sona Shah said the company is currently working to get Neopenda into hospitals throughout Uganda and is also adapting its tech for pediatric and surgical applications. Optivolt Labs develops solar integration kits for drones, which allow them to run flights for longer durations without human intervention for charging. Devices use lithium ion and polymer batteries to power drones via sunlight during their runs. CEO Rohit Kalyanpur said Aker Biosciences, which uses drones frequently on agricultural mapping missions, is testing their batteries and that Mariah Scott, president of the Verizon-owned drone company Skyward, joined their board of advisors. Kalyanpur ended his pitch by stating the company is beginning development on panels for other electronics like scooters and robots. Rheaply is platform where businesses, creators, educational institutions and other entities can buy, sell, share or rent scientific equipment — lessening waste and encouraging collaboration. The company was named one of our 50 Chicago Startups to Watch at the beginning of this year. CEO and President Garry Cooper said since joining Techstars, the company signed Northwestern, Google, Emory University and Rush College among many other companies and institutions as partners. Speeko is communication tool designed to improve a user’s public speaking ability. The platform uses AI to interpret live and recorded speeches and provide feedback on things like pitch, pace and word choice. Co-founder and CEO Nico Aguilar used stats from the VP of finance at Narrative science Joshua Smith and COO at Cameo Arthur Leopold to illustrate insights the app provides. Aguilar ended his presentation with the announcement that, as of Demo Day, the app was out of beta and open to the public on the app store. Vacation Fund lets employees deposit a segment of their paychecks into a, you guessed it, vacation fund, and employers can match portions of their contributions. The system is intended to act as a perk meant to incentivize staff to take time off and travel. Co-founder and CEO Erica Pearson said since joining Techstars and optimizing the platform, the company onboarded six companies and 80 percent of employees opted into the service. Pearson also said the company has the potential to act as a data aggregator for companies in the travel and hospitality industry. Trala is a mobile app that teaches violin to everyone from seasoned professionals to first-time players. The platform provides note-by-note instructions and feedback on what and how to play. CEO Sam Walder, who we interviewed during our test-run of a beta version of the app, capped off the event with an investor pitch that doubled as a stand-up comedy routine. During his entertaining presentation, Walder said the platform quadrupled its annual recurring revenue while in Techstars, added advisers from Duolingo and Reverb to its board and brought on a full-time marketer to their formerly three-person staff. Following the event’s closing remarks, Walder returned to the stage to perform a blistering duet with a Techstars staff member, who is also fellow violinist.